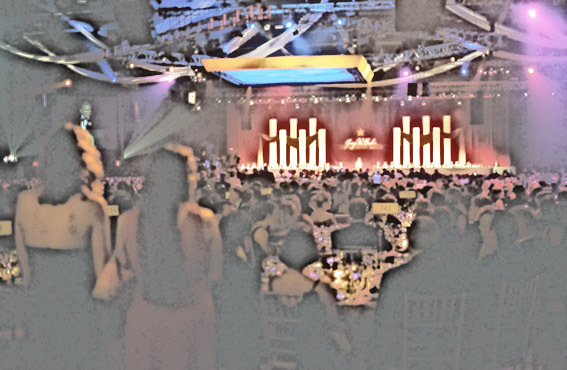 Six thousand, four hundred and fifty-three people attended the President's Dinner held on June 19, 2002 at the Washington Convention Center, raising $30 million for the National Republican Congressional Committee and the National Republican Senatorial Committee. In his remarks to the gathering President Bush stated, "My most important job is to protect the security of America, to do everything in our power to make sure the enemy doesn't hit us again." Attendees of the dinner enjoyed herbed tenderloin and jumbo prawns and walked away with gift bags that included a T-shirt, a hat, a baseball, a two video set of "Pearl Harbor," a chocolate bar, and a pen that lights up.